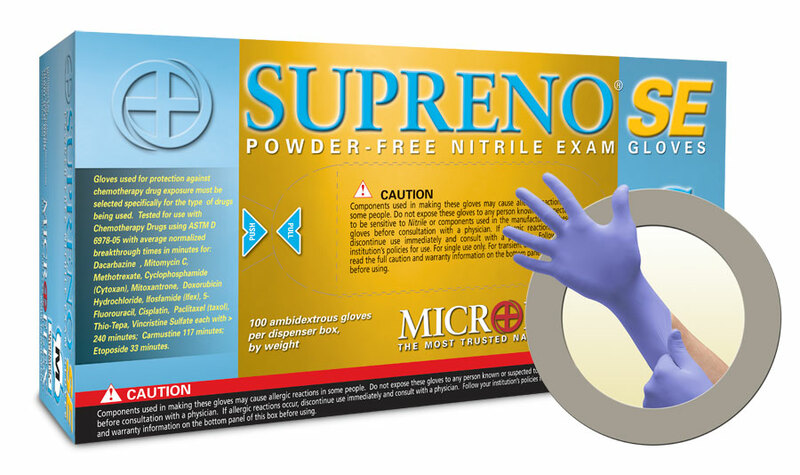 Microflex Supreno SE Powder Free Nitrile Exam Grade Gloves are great when strength and protection is a must. Our nitrile disposable gloves offer the best combination of durability and security. These chloropene disposable gloves are perfect in wet environments that require dependable gripping and reliability, are approved for use with chemotherapy drugs and provide superior protection against a majority of chemicals.